Buy DPAC Branded Goodies Online!!! See more here…. Raise funds for DPAC while you shop online See more here…..
Meet: 4pm 25 April 2019, outside Facebook HQ, 1 Rathbone Square, Fitzrovia, London W1T 1FB. 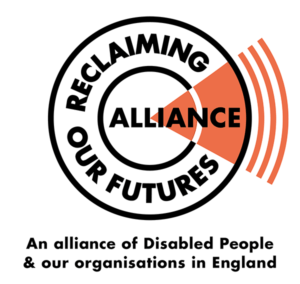 See the Event page Join Disabled People Against Cuts, loud and proud, outside Facebook’s London HQ on 25 April to protest discriminatory treatment of disability-related pages. Last week, Facebook (FB) told Access Ability, in a recorded phone call that their… Continue Reading Protest: Are we disturbing you, Facebook?